Hello, gorgeous! 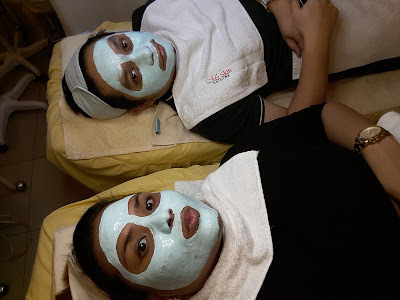 I just want to share with you our pampering date at My Skin Origins Facial and Skincare Center last Saturday. We were given the chance to experience one of the facial services and we really enjoyed it. We had such a good time that we're actually already talking about our next visit. The Diamond Microdermabrasion + Premium was certainly one of the most luxurious skin care procedures we've ever tried. We've never had a facial experience quite like the one we had at My Skin. It went on for 2 hours with so many techniques we'd never tried before. The therapists were very professional, thorough, and accommodating. They would patiently answer our questions and voluntarily present information about the procedure as well as other services offered in their clinic. They went about the process unhurriedly, making sure we had a pleasant experience. That is probably one of the things I really liked about it because we didn't feel rushed. One of my pet peeves in getting a facial is an attendant acting as if she'd rather be somewhere else, doing something else. I did not experience this at the My Skin Clinic. You can really sense their presence of mind and their genuine interest in making the client comfortable. Believe it or not, I've had the terrible experience of getting my facial done by someone who ate and went on FB whilst the alarm for my steaming had already gone off and she even nonchalantly refused to be interrupted. So, yes, the therapist's performance and attitude both factor into the overall experience. I immediately noticed how my skin felt smooth and how the pores looked smaller. My skin was glowing even without makeup. I've always winged the glow with highlighter but this time I was makeup free. I suppose the diamond dermabrasion really took away my skin dullness and refined my pores. Even hubby looked positively radiant. All in all, we had a great time and we're so excited for our next visit. If you like planning out things in advance like me, then you're probably thinking about doing something sweet for your significant other for Valentine's Day already. If you're in Davao, then My Skin Origins has the perfect Valentine's offering for you--- Pay As One. It doesn't get sweeter than that. You and Bae can avail of any of the services at My Skin Origins for the price of one. The Pay As One promo is open to lovebirds and bffs for the whole month of february. So if you want a good price for a sweet treat, you shouldn't pass this up. Skin Care and beauty goodies are also available at their clinic. You can choose from a variety of products to give as gifts. Here are a few of our current favorites. I'm planning to write more about the products I've tried from their skin care line so I hope you come back to check on my review for them. 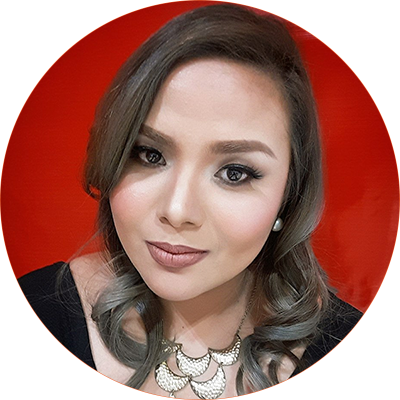 For updates about the My Skin Origins February Promo, visit their Facebook Page My Skin Origins, their IG @myskinorigins, or call their clinic in Jacinto (082) 321 2533.